When did you first read ‘A Portrait of the Artist as a Young Man’? Was it love at first sight or did you come back to it in later years? To be honest, I first read Joyce’s novel after I’d read the play. I had this impression beforehand – I think it’s an impression shared by a lot of people – of some formidable intellectual tome, full of ‘momentous’ (read: intimidating) linguistic experiments. 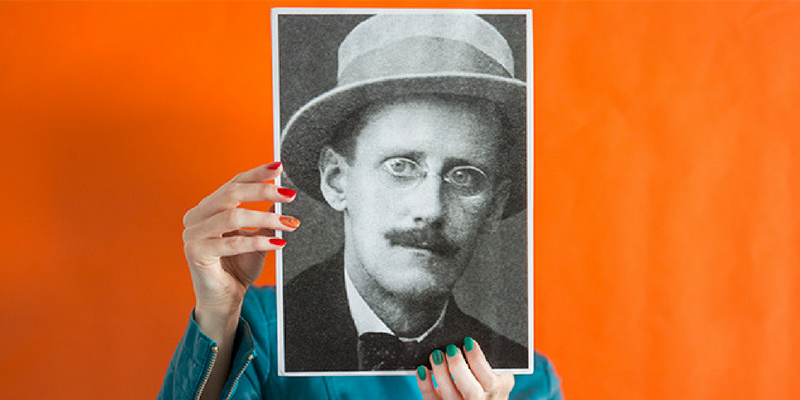 This is the image of Joyce in the popular imagination. People feel they ‘should’ read his work in the same way you ‘should’ be doing your homework on a Sunday afternoon. That is the expectation that’s been built up. But once I’d read (and re-read) the book, once I’d gotten past my own preconceived ideas about it, I started to realise that this is work that’s full of real wit and compassion and – probably the key note in Joyce’s work – bathos, that sense of an ever-present lacerating but also humane laughter at how ridiculous we all are, how prone to failure and hubris and all of that. It’s a totally humanistic view of the world. Portrait tells the story of Stephen Dedalus’s formative years as he struggles to figure out his path in life and find the freedom to express his understanding of the world. He rails against an oppressive cultural climate, a domineering church, and the expectation of conformity. He is in this sexually repressive environment, and he’s frustrated by it. By the end of the novel it is unclear whether he will achieve his goal of becoming a great artist, but his quest to find purpose and meaning, to determine why he exists and how he should live, is something we can all relate to. How did this production come about? Did Arthur Riordan approach Rough Magic with the idea? I first read Arthur’s adaptation of Portrait when I was Resident Assistant Director at the Abbey Theatre. The play had been commissioned there and was under development. I was immediately taken with Arthur’s script. It’s really lean, muscular, intelligent without being dry or reductive, and it included a fascinating device whereby the role of Stephen Dedalus would be shared among several members of the cast. This device opened up the possibility of a gender-fluid production that would allow us to engage with the broad humanity of Stephen’s struggle rather than being confined to a particular gender and a particular time. So when, a few years later, Arthur sent the script for consideration to Rough Magic, where I am Associate Director, I immediately knew I wanted to do it. 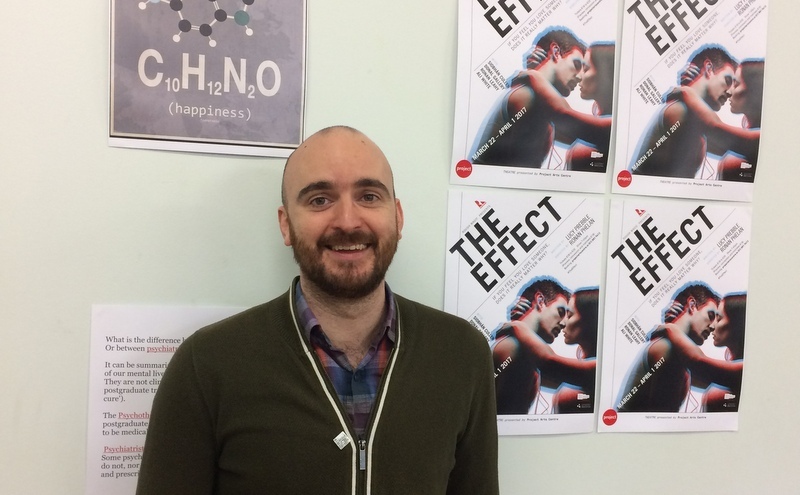 How involved has Arthur Riordan been in the rehearsal process? Has the play changed much since the first draft you read? It’s a real asset having Arthur in the room. As a renowned and accomplished actor and playwright in his own right, he has an innate experience and knowledge of the process and an instinctive generosity towards all of his collaborators. Many of the prompts for the production’s aesthetic and atmospheric development have come from Arthur’s script. The propulsive and kinetic adaptation he has written, the multiple-actor device for Stephen – his creative decisions have helped guide me, the designers, and the actors, to try to capture the spirit of Joyce’s novel, while emphasising its contemporary resonances. This production has the same cast as the version of ‘A Midsummer Night’s Dream’ which was staged in Kilkenny earlier this year. Has it helped that the cast know each other well at this stage? Definitely, it was a big advantage. The cast entered the room familiar with each other’s working methods, ready to hit the ground running. They had already achieved that sense of being an ensemble: the feeling that they’re all in this together. They’re pals. It can be a tricky environment to cultivate, but it’s my favourite way to work. Midsummer was also a really good play for them to work on before Portrait. The pairing was not an accident. During the programming process, we thought a lot about this. They’re both plays by canonical ‘national’ authors. At this stage, of course, Shakespeare has been made well and truly contemporary. Period costume and the proscenium arch are the exception rather than the rule; in Ireland, Rough Magic has a tradition of creating vibrant productions of Shakespeare’s work. And that’s really the direction I’m hoping to take Portrait. I think we need to consider Joyce as our contemporary, not as a ‘historical’ figure or as someone to be unquestioningly revered. If we continue to see Joyce as a source for period reconstruction, we allow the work to calcify. He’s in danger of becoming a marketing gimmick, reduced to his glasses and the odd quotation from books nobody’s reading otherwise. Or else he’s a device for intellectual snobbery, or just plain snobbery outright. Instead, what we need to do is assess what continues to be relevant to us now about Joyce’s work, because there is, in fact, a lot. This is being staged as part of the Dublin Theatre Festival. Will you get time to see any other productions? What plays are you particularly looking forward to in it? Last year I was lucky enough to participate in the Next Stage programme, so it will be a shock this year to have to buy my own tickets! However, I am looking forward to seeing both Shakespearean installments in the festival, with Hamlet in the Gate Theatre and Richard III by Druid. 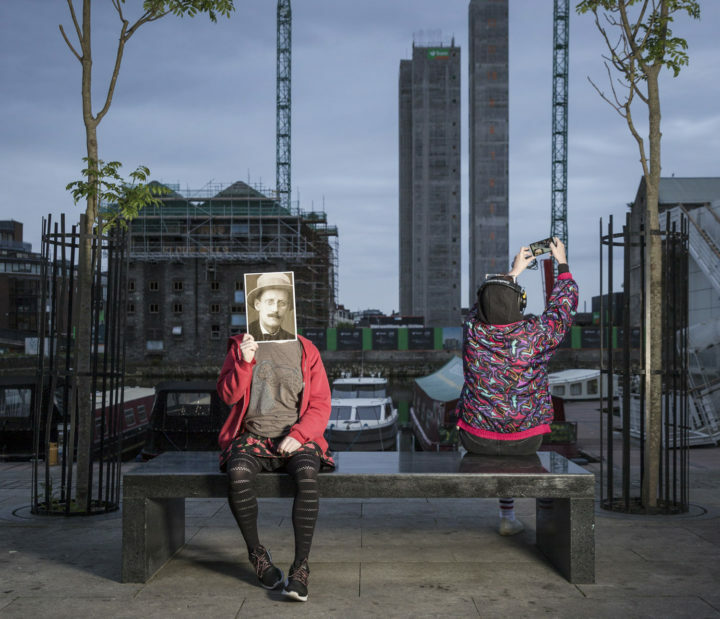 I am also eager to see The Lost O’Casey from Anu and the Abbey Theatre and Multiverse, a joint offering from Louis Vanhaverbeke and Belgian arts centre CAMPO, which looks like a promising blend of music, humour and dance. Finally, I want to catch My Name is Language by Dutch visual artist Nicoline van Harskamp which is produced by steirischer herbst in conjunction with Project Arts Centre. It looks like a compelling offering on the topic of names, harmonised with excerpts of Brian Friel’s Translations. Presenting a collection naming stories from around the world, people were asked, ‘What is your name, who gave it to you and what does it mean in your language?’.